Have you ever stepped into the driver’s seat of your car and imagined yourself as a top pilot in the galaxy? 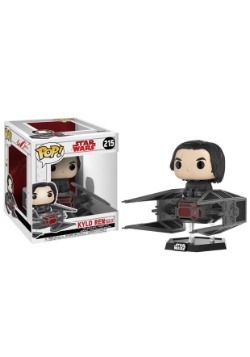 Perhaps you fancy yourself as some kind of Star Wars maneuvering ace. Maybe you even think you could out maneuver the Millennium Falcon. Then you might want to give the career of being TIE Fighter Pilot a try. 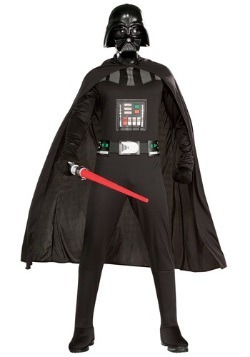 But… aren’t TIE Fighter Pilots members of The Galactic Empire? And aren’t they the bad guys? Good question. Yes. Yes, they are. But did you know that TIE Fighters had a maximum speed of 1,200 kilometers per hour? Did you know that the Millennium Falcon had a maximum speed of 1,050 kilometers per hour? That’s right. Despite all of Han’s bragging, a TIE Fight was technically faster, especially in dogfight conditions. 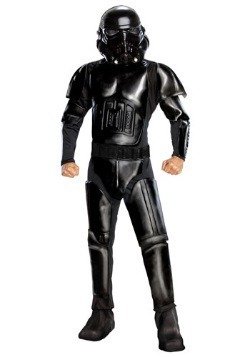 Supporting the Empire to get into the cockpit of a TIE Fighter doesn’t sound like such a bad idea anymore, now does it? 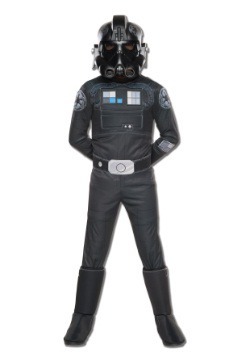 This adult TIE Fighter Pilot costume will help you assume that role quite easily! 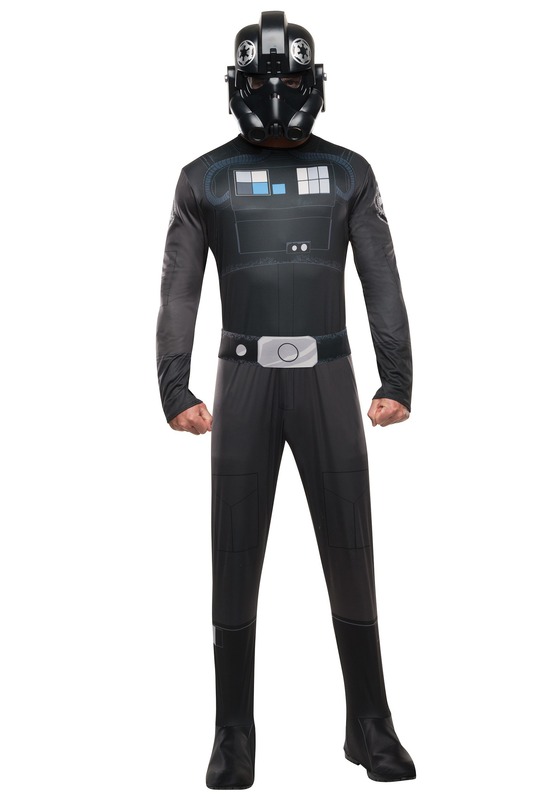 It’s based on the flight suits seen in the Star Wars films and it comes with a black, full-body jumpsuit. It also has attached foam boot covers attached to the legs, which conveniently fit over your shoes. It also comes with a molded mask, perfect for making you ready for the next big battle. Finally, the foam belt adds a finishing touch to your look. 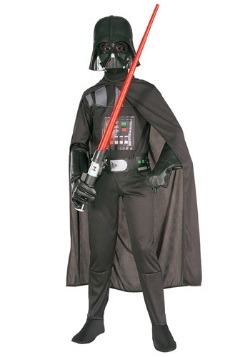 Of course, you still might need to locate a ship of your own, since this outfit does not come with its own TIE Fighter!